Global leader in high performance aqueous cleaning technology, MecWash launches a brand new website to showcase its range of aqueous parts cleaning and degreasing systems for a variety of specialist sectors. As well as offering a modern new look, the website’s objective is to display the new cleaning technologies available, including the chemical design and specification as well as the global servicing and support available by the specialist service engineering team. The bold navigation bar aims to provide a simple user experience for all, whether visitors are browsing for products specifically, or by sector. Component cleanliness is undoubtedly a key quality criterion in numerous industries, with many requiring complete bespoke systems. MecWash is renowned for its unique, bespoke designs that cater to the needs of each and every sector in which it operates, delivering both value and productivity. Therefore the addition of specialist sector pages was essential, including: Automotive, Aerospace, Fluid Power, Precision Engineering and Medical. MecWash is one of the leading designers and manufacturers of aqueous parts cleaning and degreasing systems. Its range of systems are used globally by companies with exacting standards. 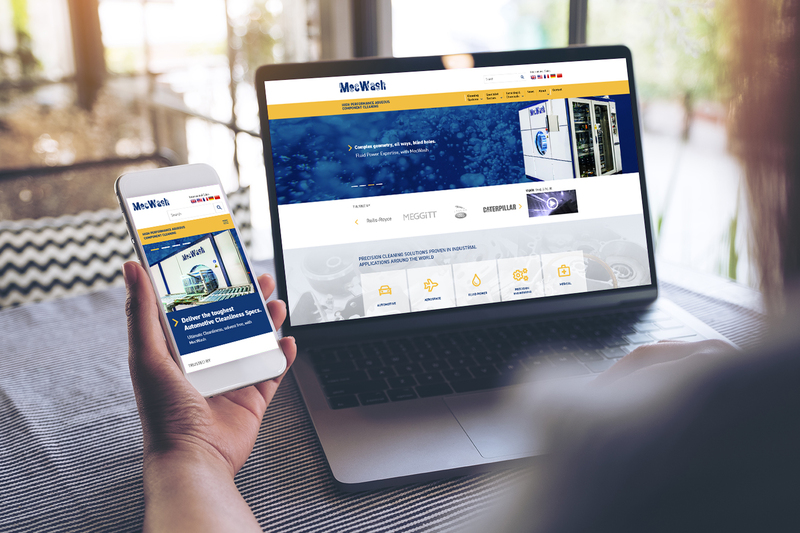 MecWash has a comprehensive and lasting commitment to its customers and the new site highlights the features, benefits and support opportunities that MecWash offers. More details about MecWash and its range of world-class systems can be found on the new website here.